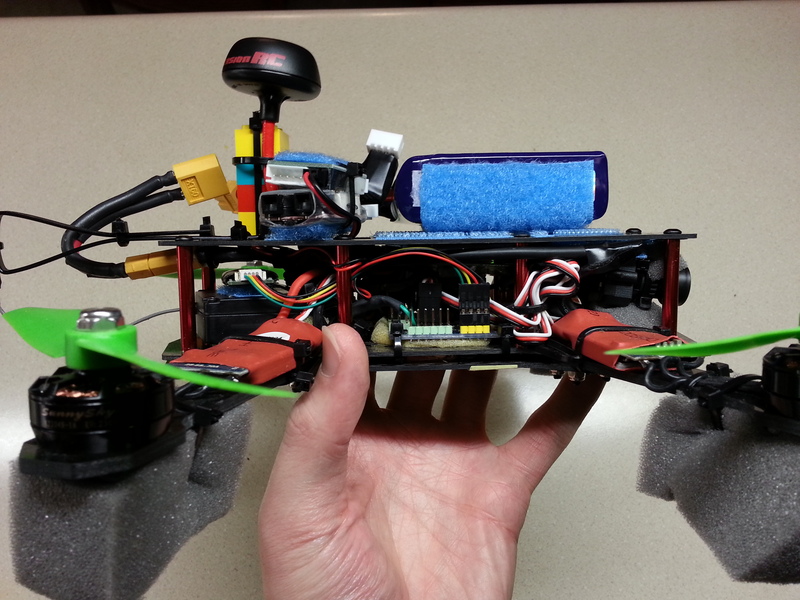 An Arduino can be used as a micro-controller to balance out a quad-copter. 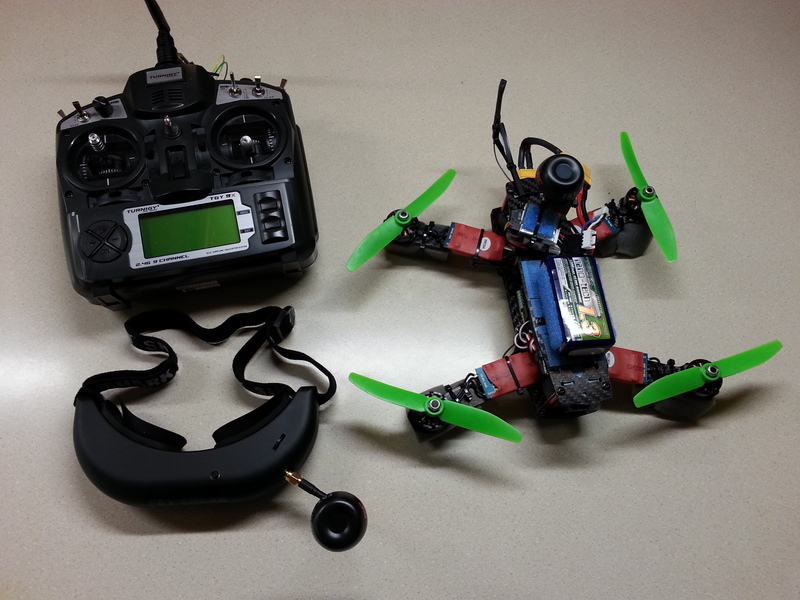 It’s called Ardupilot. It’s an open source mission planner, and it’s really cool. Btw, thanks for mentioning that FPV goggles are illegal. I was going to buy one (even though they’re so pricey), but now I have a reason not to :) .